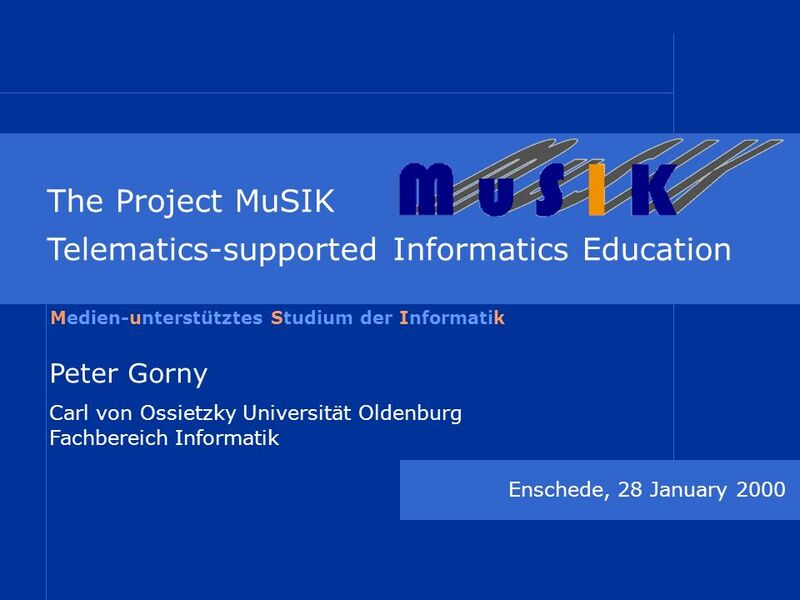 The Project MuSIK Telematics-supported Informatics Education Enschede, 28 January 2000 Peter Gorny Carl von Ossietzky Universität Oldenburg Fachbereich. 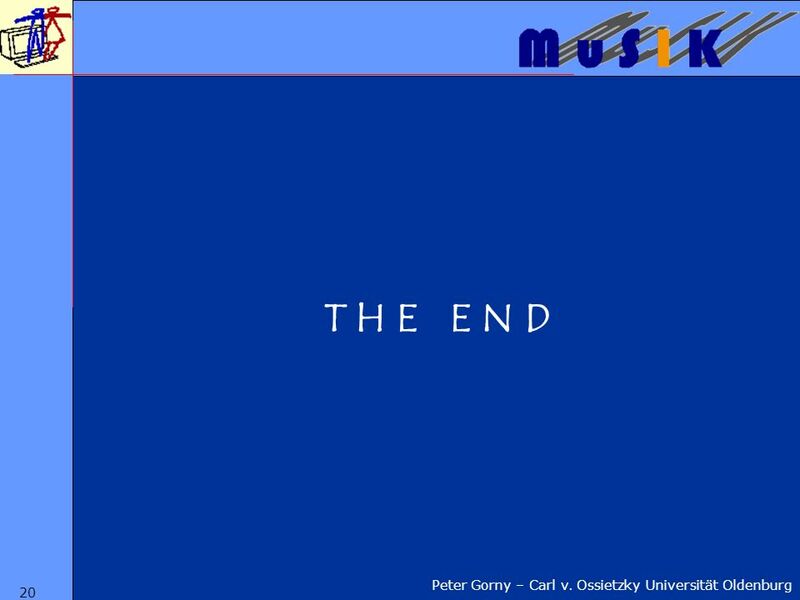 2 Peter Gorny – Carl v. Ossietzky Universität Oldenburg 2 THE IDEA (1996) A grassroots approach to introduce computer-based self-study material into traditional academic teaching: Introducing computer-based presentations of simulations and animations into lectures - thus enhancing the possibilities to improve understanding of processes and algorithms. 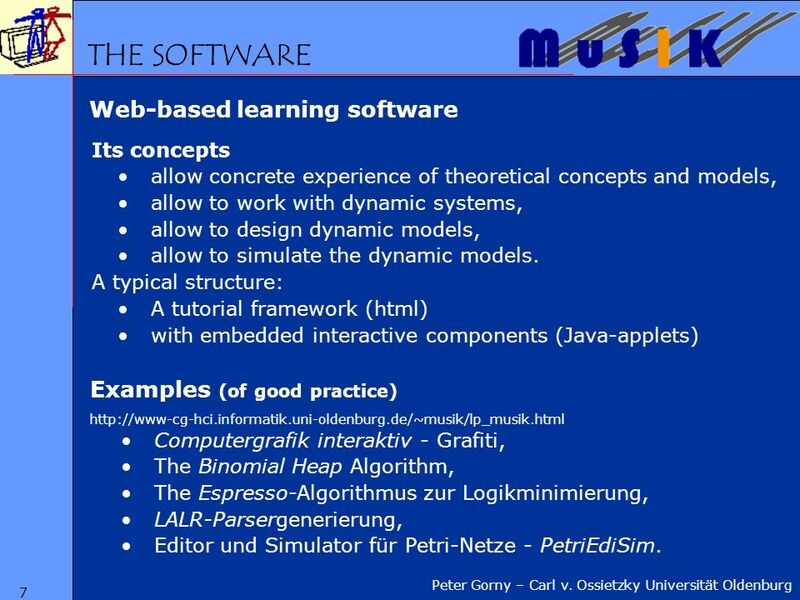 Accompagnying the lecture with interactive material to allow students to investigate the simulations and algorithms by self-organized open learning. 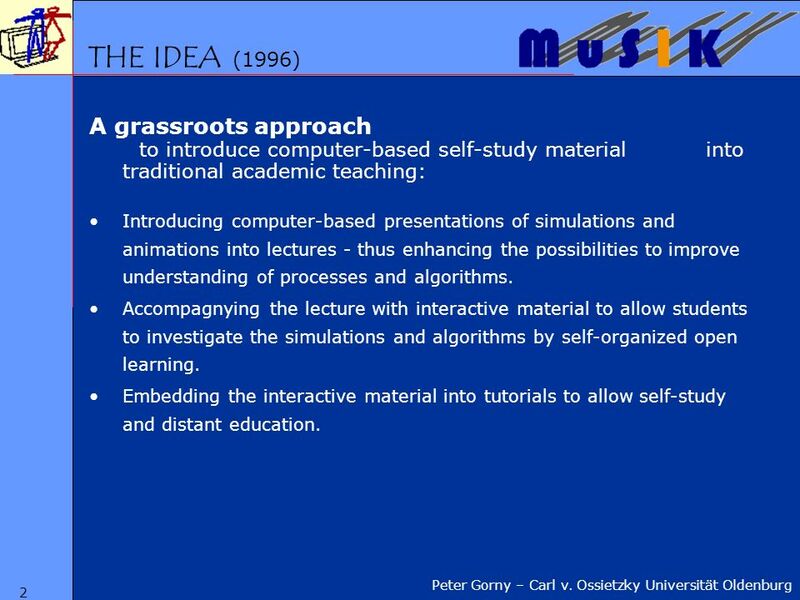 Embedding the interactive material into tutorials to allow self-study and distant education. 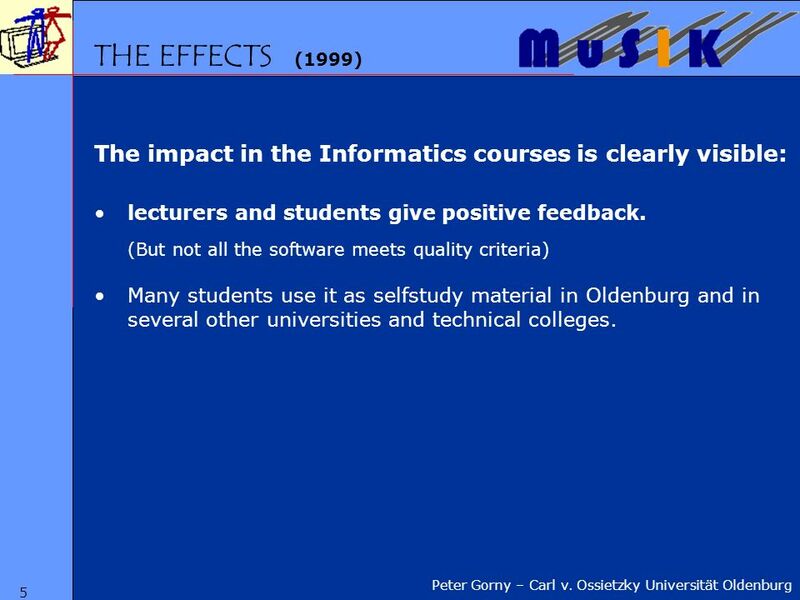 5 Peter Gorny – Carl v. Ossietzky Universität Oldenburg 5 THE EFFECTS (1999) The impact in the Informatics courses is clearly visible: lecturers and students give positive feedback. 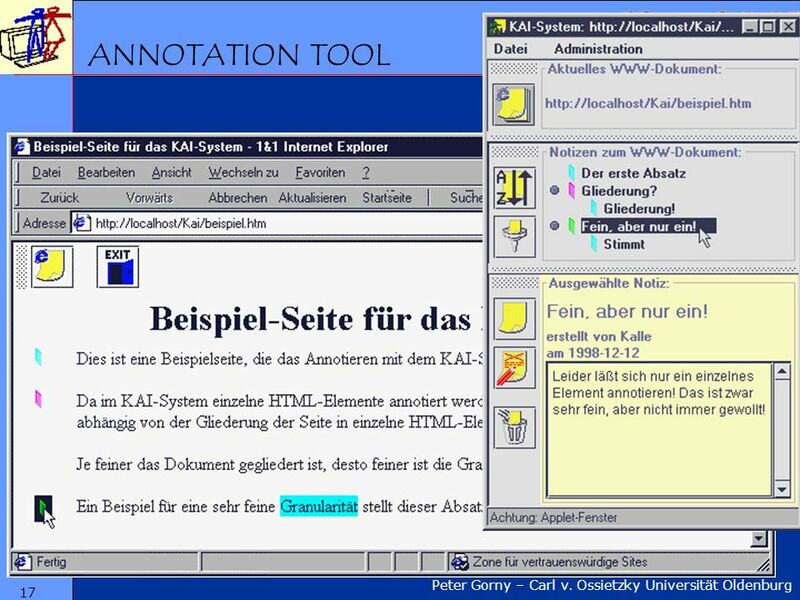 (But not all the software meets quality criteria) Many students use it as selfstudy material in Oldenburg and in several other universities and technical colleges. 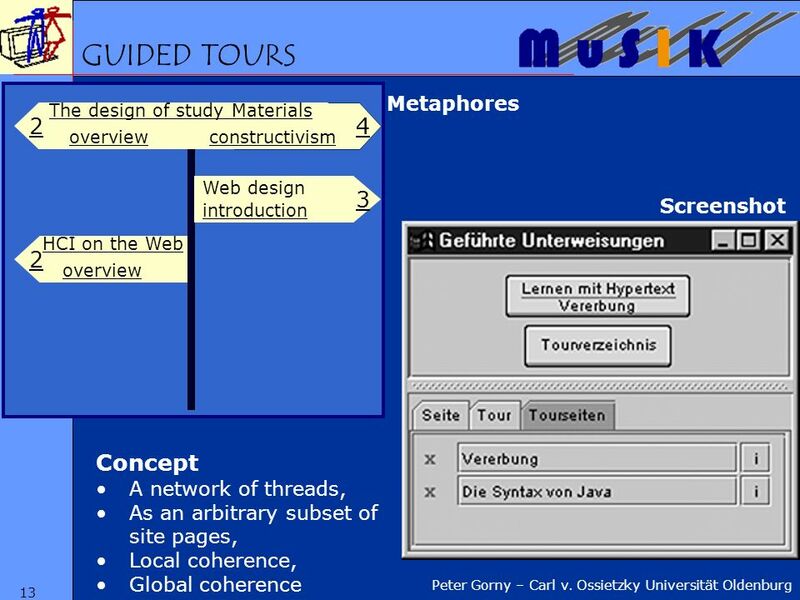 7 Peter Gorny – Carl v. Ossietzky Universität Oldenburg 7 Examples (of good practice) http://www-cg-hci.informatik.uni-oldenburg.de/~musik/lp_musik.html Web-based learning software Its concepts allow concrete experience of theoretical concepts and models, allow to work with dynamic systems, allow to design dynamic models, allow to simulate the dynamic models. 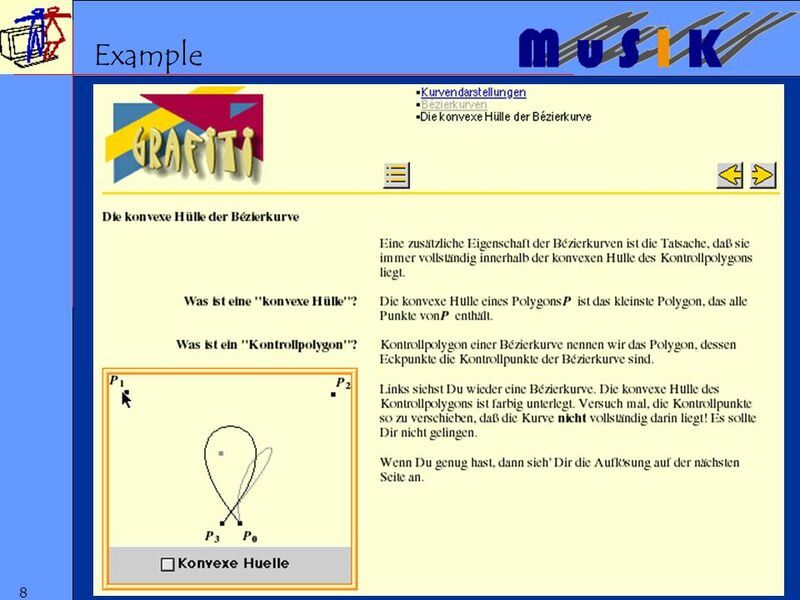 A typical structure: A tutorial framework (html) with embedded interactive components (Java-applets) THE SOFTWARE Computergrafik interaktiv - Grafiti, The Binomial Heap Algorithm, The Espresso-Algorithmus zur Logikminimierung, LALR-Parsergenerierung, Editor und Simulator für Petri-Netze - PetriEdiSim. 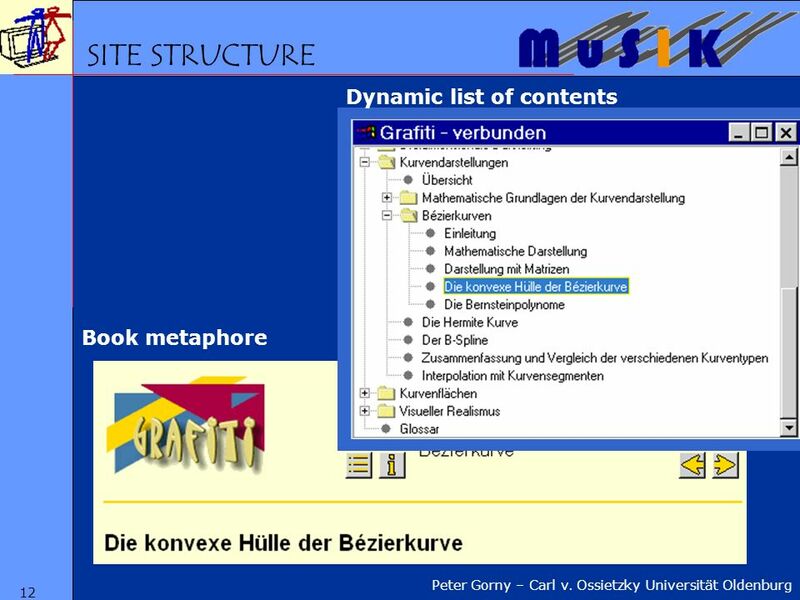 9 Peter Gorny – Carl v. Ossietzky Universität Oldenburg 9 Individualization of learning processes Organisational attributes Presentation und Interaction Integrative presentation in various symbol systems, The learners are in a dialog with the software, Possibility to control the mixed use of various media. 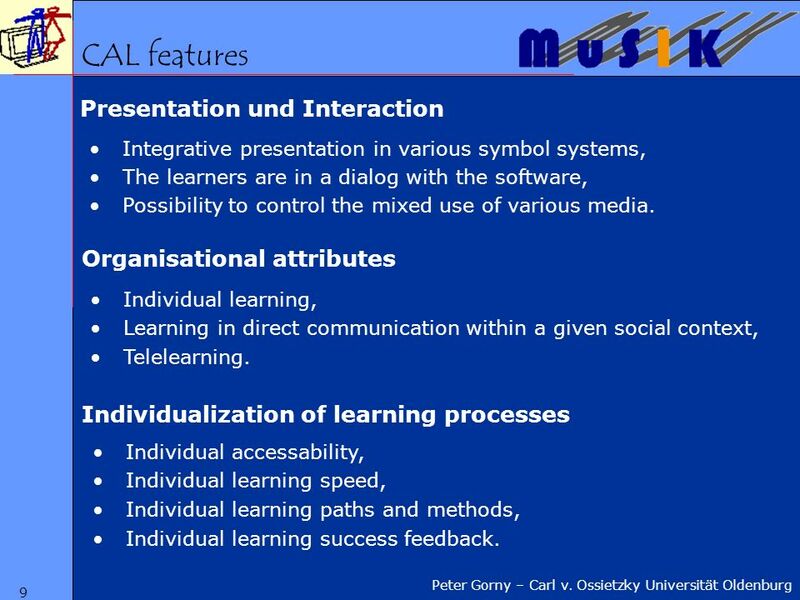 CAL features Individual learning, Learning in direct communication within a given social context, Telelearning. Individual accessability, Individual learning speed, Individual learning paths and methods, Individual learning success feedback. 10 Peter Gorny – Carl v. Ossietzky Universität Oldenburg 10 Collaboratives learning Exploratory learning Self-organized learning. The learner has to search, retrieve and structure information. The exploration is driven by the learner`s curiosity and motivation. Objective: the ability for problem solving. DIDACTICAL CONCEPTS The learner is member of one or more real or virtual groups. The individual creativity is the input into the group. Each participant develops own positions and has to explain and defend them in the group. In an active dialog each member experiences the others` feedback, reactions and contradictions. 11 Peter Gorny – Carl v. Ossietzky Universität Oldenburg 11 Document specific navigation General tools Bookmarks (Favorites), History, Markings, Breadcrumps. 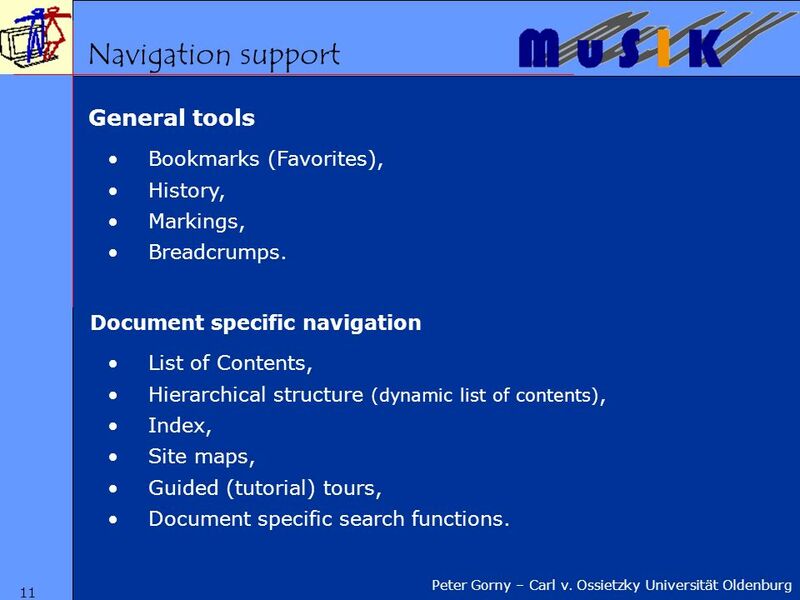 Navigation support List of Contents, Hierarchical structure (dynamic list of contents), Index, Site maps, Guided (tutorial) tours, Document specific search functions. 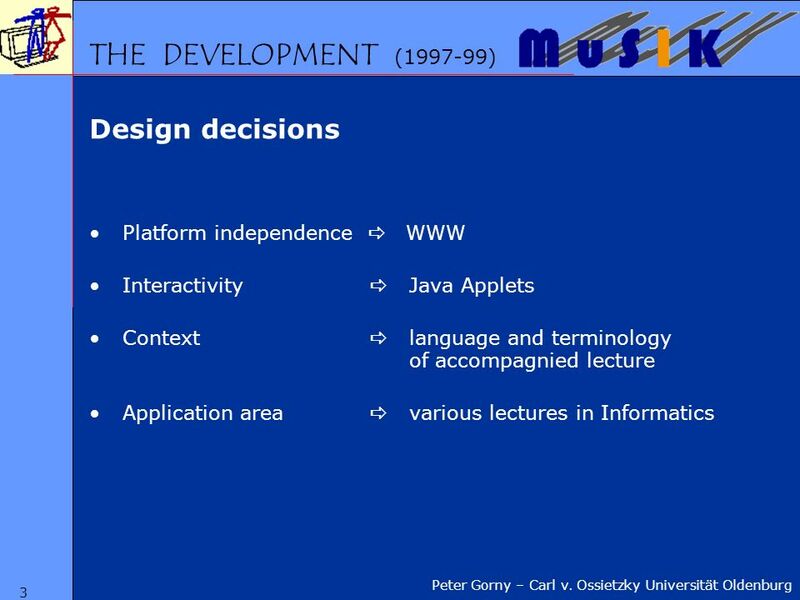 18 Peter Gorny – Carl v. Ossietzky Universität Oldenburg 18 GUIDELINES Side effects of the project: Guidelines for the didactical design of web-based learning material (2001). 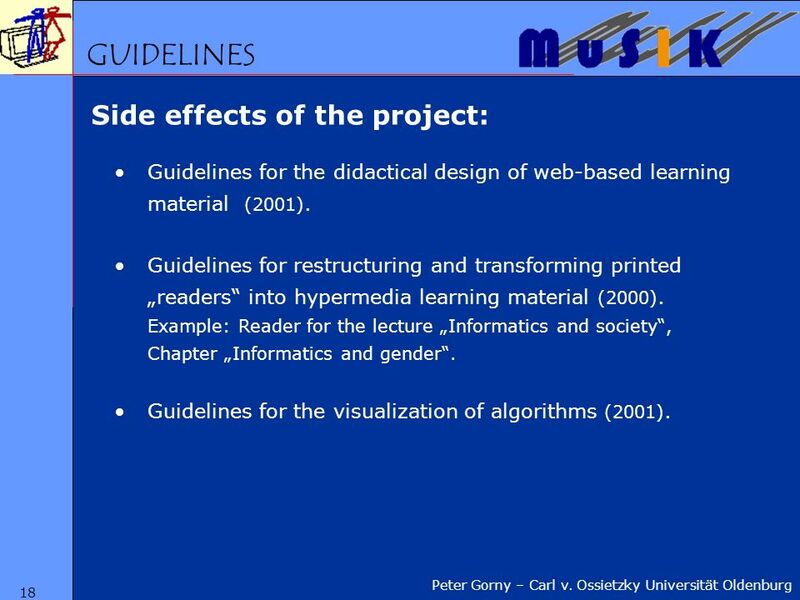 Guidelines for restructuring and transforming printed readers into hypermedia learning material (2000). Example: Reader for the lecture Informatics and society, Chapter Informatics and gender. Guidelines for the visualization of algorithms (2001). 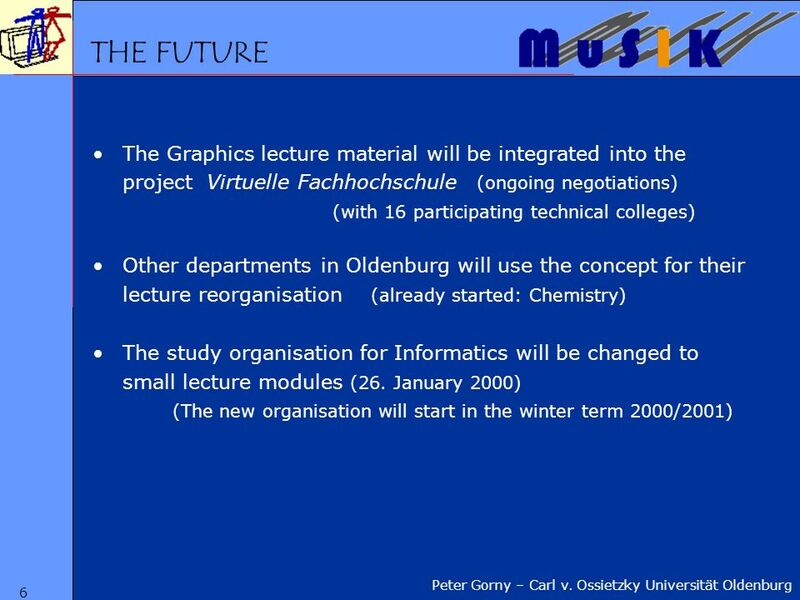 19 Peter Gorny – Carl v. Ossietzky Universität Oldenburg 19 The MuSIK grassroots approach has accelerated the reorganisation of teaching and learning: Extension and improvements in present study possibilities, Flexibilization and enrichment of course offers, Modularization of the course system, Coordinated course systems for several universities, Joint exploitation of resources, Mapping real group structures into the software. CONCLUSIONS The individual student has gained advantages by individualization of learning speed and style, possibility for learning on demand, more independence in time and location. 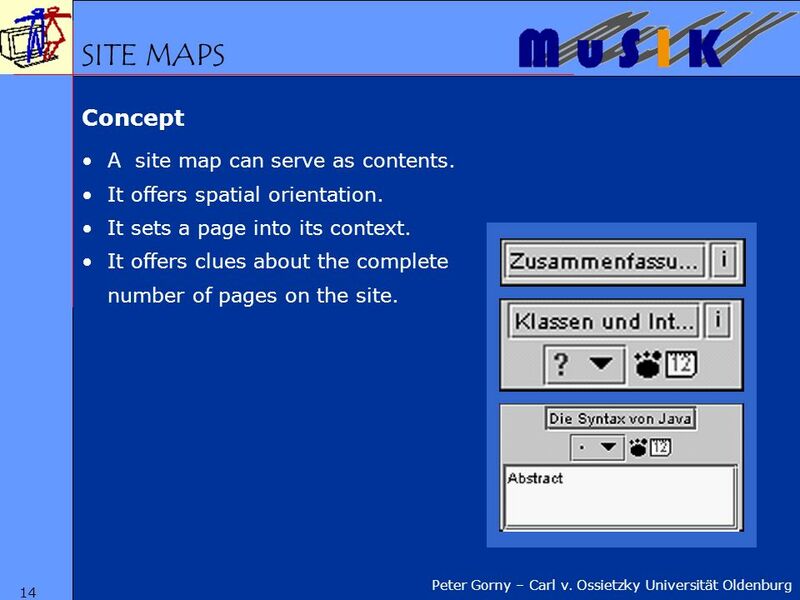 Download ppt "The Project MuSIK Telematics-supported Informatics Education Enschede, 28 January 2000 Peter Gorny Carl von Ossietzky Universität Oldenburg Fachbereich." Ernst Oberortner Vienna University of Technology. Web-based Cooperative Teacher Education in Information and Communication Technology The Project eL3 eLearning and eTeaching in Teacher Pre-and In-Service. 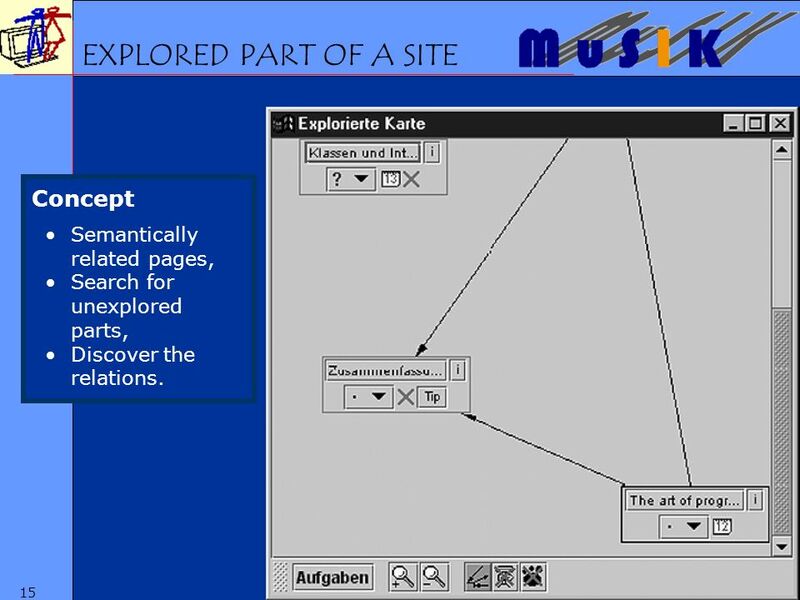 Julika Mimkes, Kerstin Zimmermann, physik multimedial VIEWDET 2003 Introduction Didaktics Modules Media Exercises. Copyright CompSci Resources LLC Web-Based XBRL Products from CompSci Resources LLC Virginia, USA. Presentation by: Colm Ó hÁonghusa. Geographic Information Technology Training Alliance The GITTA Project Erfahrungen Jo ë l Fisler Geographisches Institut Universität Zürich SVC Days 2003.